Your gut (microbiome) is your control center to your overall health and well-being. Bananas promote healthy digestion. Their fiber content encourages the digestive system to get back to business as usual. Avocados contain a generous amount of potassium (more than bananas). Potassium plays a big role in keeping your blood pressure within normal range. Vitamin C in oranges helps your immune system stay on task to heal wounds and prevent infections. Balancing out this healthful smoothie with heart healthy fats and protein are the chia seeds. Cheers to a refreshing wholesome glass of healing and recovering! 2. Pour into a glass and garnish with spinach. Helen Agresti is a Registered Dietitian and founder of Professional Nutrition Consulting, LLC, based in Pennsylvania. 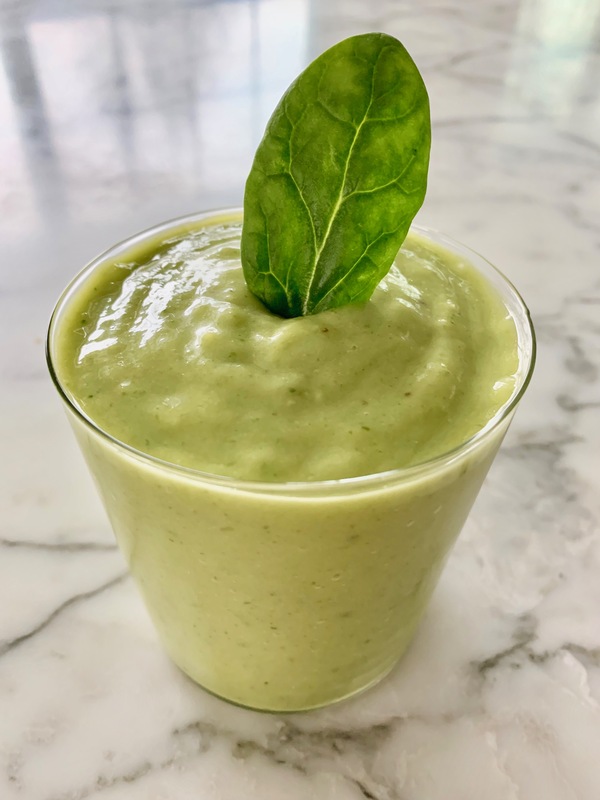 Through her private practice, she provides Personal Nutrition Coaching (in person, via email and FaceTime), cooking demos, lunch & learns, and corporate wellness presentations. Helen is credentialed by The Bureau of Autism. She educates children and adults on a weekly basis with Autism/Asperger Syndrome throughout the state of Pennsylvania. In 2016, Helen joined Lakeland Area Hospice. She provides nutrition support to their patients and nutrition education to seniors citizens at various community settings. Helen is also a Nutrition Consultant for Penn State University and certified Pilates instructor. Helen is grateful for the opportunity to cross promote healthy eating and fitness. Helen has educated the public on healthy eating for nearly 20 years. Her passion is to convey the importance of eating real food and exercising regularly. Her current initiative is encouraging families to cook healthy meals at home while dispelling the myth that it is difficult, expensive, and time consuming. Helen’s passion for healthy living extends beyond nutrition. She continues to challenge herself physically by taking part in triathlons and local races with her family. Helen lives in Pennsylvania with her husband and 5 children.